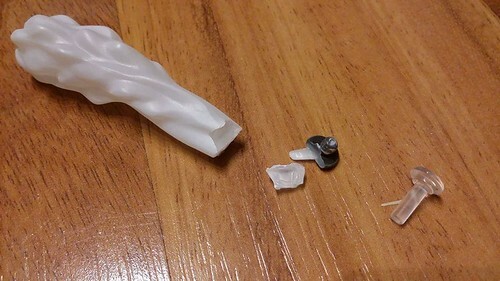 Did you lose an important figma part? Is there a new Figma coming out, but you are only interested in one of the accessories? Do you need a specific part for customizing? This club is here to help. You can buy and split figmas here so you only have to pay for the parts you want. I am looking to buy a replacement dragon crystal from the Female Corrin Figma. I unfortunately lost mine after I let one of my pets roam near the figure mistakenly. I'm looking for the part she's holding specifically. I am looking for Attack on Titan "fume" and "arrow/cable" pieces. The same as the damages one you can see in the pictures. They come with Eren, Armin, Mikasa and Levi. Please, write me if you have ones. Does anyone have the Rin Hoshizora "playing dumb" GSC bonus? Anyone selling the Spell Book stand for the figma Black magician girl? 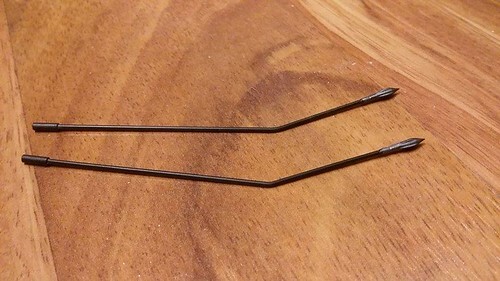 Does anyone have any spare (new) figma hands they want to sell? I'm not particular with hand poses, just need some with regular skin coloring (no markings). Please PM me! I'm trying to hybrid a doll custom with these hands. Thanks! zeindarch (Vor 3 Jahren) #7579030Just for curiosity, how much for her parts? For Chihaya Kisaragi. Depends on the part. I'm willing to go $3~$5 for each part with a few dollars shipping, but I may keep her stand IDK. hmm.. its because i have a broken neck joint... do you think its worth the try to buy bootleg joints? zeindarch (Vor 3 Jahren) #7579032Homw much?